Keek app is another video sharing app that is growing by the day. Keek advertises over 50 million users and constant updates. Keek seems to take several different social media styles and combines them into one. Also the name Keek seems similar to kIk. With Kik being a very popular texting app, you wonder if they named it so similar for that reason alone. Keek is a free download on android and apple devices that allows you to create a new account (login) or logging in with your Facebook or Twitter account. Once you sign into the app, you are able to view and upload videos. Videos can be up to 36 seconds long. You also have a profile that you set up with a username and photo. Once you have your account setup you can follow other people and see what videos they are posting. In return they can follow you back to view your videos. Also inside the app you can view the top Keek videos in the most viewed section and the Top 100 users section to see what the top users are posting. 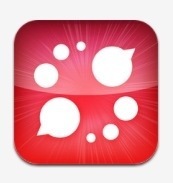 Think of this app as a mixture of a messaging app, twitter and Instagram. The dangers can come from others open videos that your kids can search and view. Users are able to hash tag search videos, and it didn’t take long as I was scrolling through videos to find some very harsh videos with explicit language. I gave this app a moderate threat level as it should be monitored closely. 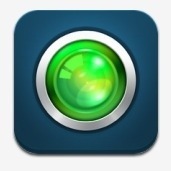 If you find Keek on your child’s device, be sure monitor who they are following and who is following them. It only takes one mistake and your child could be following someone that you would not approve of. Jackd app is a social media app for all devices created by Lucid Dreams LLC for Homosexuals. This app is a social media/texting app geared to male on male relationships. This apps first sentence of the preview of the app states…. Enjoy chatting with over 4 million gay guys in your area and around the world. That alone should terrify you if your child has this on their device. This app should be considered a High Threat Level and deleted and addressed if located on your child’s device. The app has the adult 18 year old plus warning to make accounts but just takes a push of a button to get you past that startup part of the app. Jackd uses your GPS location of the device to link you with other people close by to chat with. It has a Match Maker feature and allows you to post profile pictures. 3 public pictures and 2 Private pictures. Once account is created you can browse through other homosexuals photos in a list or gallery view style before selecting to start chatting with inside the app. You can make a favorite list to store multiple people for chatting. This app should be considered extremely dangerous with your children. With the growth of video sharing apps such as Vine and Instagrams new video feature, you should start seeing a rise of the video sharing apps. Kilp is a perfect example. Kilp app is free on all markets that lets you share videos that are up to One minute long with your friends inside the Klip app and also to other popular social media apps like Facebook and Twitter. You can also send Private videos and group videos to a select few. Klip acts as an instant messenger also allowing you to text others in your Klip network. The Klip app also adds the feature that allows you to post forever or a disappearing video. This means you can set how many times your video is viewed, so if you want one person to view your video and then delete itself, it will. Klip acts like most social networking apps and allows you to create your basic profile with your picture and information that you provide. You then invite your other friends to follow you to be able to view your videos (similar to Facebook). 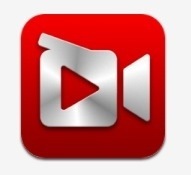 The public videos are shared with anyone on the app and can be categorized. The interface for Klip reminds me of a mixture of Facebook and Instagram. Once your 1 minute video is complete, you are able to go through 10 editing options to add to your video. Once uploaded your friends (or anyone if public) can give your videos likes. As for safety of this app, it is age restricted to 12 and up, so it is targeting the teenage group as users. I have this app a moderate threat level which is higher than usual on this type of app due to the fact that the app has the option to delete a video automatically after the other party views it. This seems like 1 minute of video us as parents wouldn’t know about that could be dangerous to our children. If your child has this app, be sure to monitor there friends list inside app and also the personal messages they are sending. Remind them anything that says it deletes itself…probably doesn’t delete it completely. Trakka is an app developed for the App Store for apple devices, but will soon be on all platforms. The first look at the Trakka app picture you will see that there are two devil style horns on the T. There is a reason for this. Trakka is an app for the location of all things adult. The app costs 2.99 and when you download it, there will be the usual 17 plus warning that you click one button to advance past. After you download and launch the app, it will want to utilize your phone GPS to tell what area you are in to pull up all the adult night life that is in your immediate area. Trakka has nine categories consisting of 1. Gentleman’s Clubs 2. Night Clubs 3. Strip Clubs 4. Bars 5. Adult Bookstores 6. Pubs 7. ATM locations 8. Hotels 9. Taxis once you click on a category, the app will display all the similar category items in a list. You also have a search feature inside the category. Once all are listed, you have the option to place pins on your map to show you areas of businesses that were in your category. There is also a search feature for everything inside the app for all categories. I see no reason for your child to have this app. Why would they need to know the location of adult oriented places in their area? This app was built for people who frequent these areas. I see more social media tie ins down the chain with updates and other social content. Keep the kids away from this one. Swipe is a mobile application available for IOS and Android devices. Swipe allows you to create an account. Yes you can use your Facebook account for login, which more and more apps are allowing you to do so. Once you log in to create your own account and upload your profile picture, you can then start viewing other people’s photos. This app uses your GPS location to find other users around you along with your Facebook friends. As you view the photos you decide whether or not you like the persons pic or like them enough to start a chat session with them. If you like them, you swipe their picture to the right. This puts them in your like section. When that person does the same to you, it notifies the other person and you all can begin to chat. The Chat session is a chat room inside the app and not visible from outside the app. Now you see why I gave this a very high threat level. I do not want my kids chatting with someone (possibly a complete stranger) because they liked a picture of them. Keep your kids away. Also reading the App Store reviews, it comes with a 17 or older restriction that all you click is one button to bypass. Another feature of this App that is horrific is an automatic message sent to everyone that you have saved as a contact with a message telling them to come view your picture. This is a way to lure in all your contacts, even if they are Facebookers.